Make sure you have a plan: The best marketing emails have a clear sense of purpose and audience. When an email isn't very effective, it's usually because the writer hasn't taken the time to answer the key questions: Who is the email for? What do we want them to do? Why would they bother reading it? What's the call to action? Work your subject line very, very hard: The subject line is probably more important than all the other elements of an email send put together. There are no clicks without opens, and no opens without an attention-grabbing subject line. So don't write it as an afterthought – start thinking about it from the beginning and make sure it's written to focus on the subscriber and why they should open the message. Use multi-element subject lines: If your email covers more than one topic, use multi-element subject lines to give your subscribers more reasons to want to open. So instead of 'Top 10 ski holidays', a travel company might write: 'Top 10 ski holidays | Venice break £399 return | 10% long-haul travel insurance'. The line will truncate at different points depending on the device, so always prioritise the elements from left to right. Show strong continuity through the whole message: People reading email don't have a lot of time or patience. So make sure you get to the point and reinforce that point throughout your message. 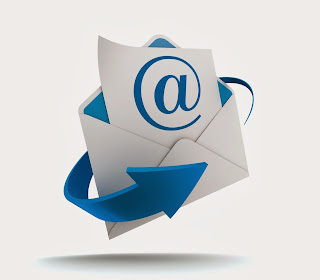 There should be a strong, seamless connection between the main theme of the subject line, the email headline and the call to action. Use some nudges: Research into micro-content optimisation and persuasive copy-writing technique has thrown up lots of psychological triggers you can use to help engage and convert recipients. Peer approval: Social compliance is another well-tested nudge. We look to imitate our peers, so consider including reviews, social media buttons and testimonials. Perception of ease: People are more likely to act where only low effort seems to be required, so make sure your calls to action are intuitive and your copy is easy to scan read. Make your copy scannable: Break content up with clear signposts, labels and calls to action. Choose a scannable layout to format your information such as a bulleted list, numbered steps or a Q&A. And always look to front-load your content – make sure every content element, from subject line to call to action to links to the structure of articles – starts with the bit the user is most likely to care about. Use everyday, conversational language: Avoid jargon, excessive product detail and inward-facing language. Think about how your content will display as an email snippet or in preview pane, here is a great post by Sticky Content. The key point of your message should be instantly available to someone who only previews your message.